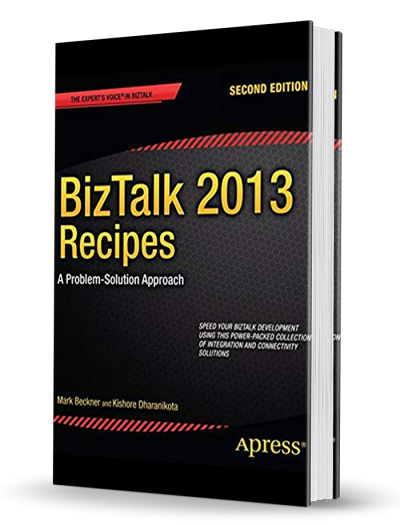 Ideal for: BizTalk 2013 Recipes is aimed at developers working in Microsoft BizTalk Server 2013. Experienced BizTalk developers will find great value in the information around new functionality in the 2013 release such as that for cloud based integrations. Those brand new to BizTalk will appreciate the clear examples of core functionality that help them understand how best to design and deploy BizTalk Server solutions.